We have received reports that another highly contested policy will be heading the there in a few months. According to our sources, Cabinet has decided to send legislation that would uphold the moratorium on offshore oil exploration in Belize's territorial waters for an indefinite duration. A letter form the Prime Minister to the Vice President of OCEANA says government plans to take it to Parliament in October. We'll have more information about this landmark decision for you in tomorrow's newscast. OCEANA and the Coalition to Save Our Natural Heritage have been pushing to see this legislation passed since 2012. Prime Minister, Rt. Hon. 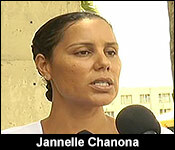 Dean Barrow has written a letter to Vice President of Oceana Belize, Ms. Janelle Chanona, informing her that Cabinet has decided to move to enshrine into law their policy decision to abstain from offshore oil exploration in Belize’s territorial sea and the exclusive economic zone. It is expected that the legislation will receive bipartisan support in the House, and be well received in the environmental community. 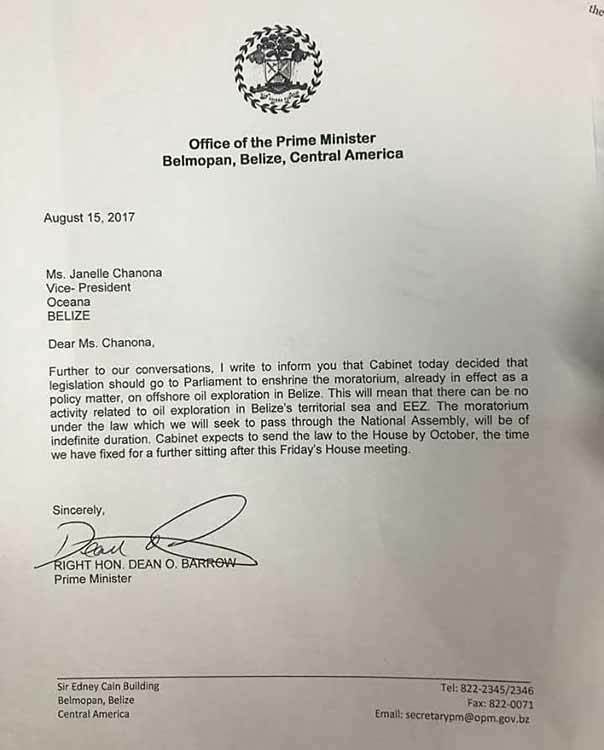 "Today is a very momentous day, this is an example of exemplary leadership, we hope it will be replicated around the globe but certainly, I think, as the Prime Minister referenced in his comments, it affords Belizeans the peace of mind, that all Belizeans deserve on this issue, that they have stated and restated, that they want to be involved in this issue, so once this law is passed that is exactly what they would be able to enjoy. That, you know, once this indefinite moratorium is passed, that our marine resources will be safeguarded from the inherent hazards of offshore oil development." "Is it gratifying from an emotional perspective in so far as you all have labored for so long, from when Audrey was at Oceana and she had the referendum and now finally it's here." "Jules I have to think that it needs no reminding that for tens of thousands of Belizeans that depend on these marine resources for their livelihoods and their quality of life, that this is a very emotional issue because this is a bread and butter issue. So I think the emotional factor of that is not lost and again that's a peace of mind that money can't buy. For me personally I have no difficulty in saying that from a personal point of view I would be very emotional once this becomes a law and as I said if the law is along the exact lines of the spirit and intention expressed today, I think it's something that we can all live with and I for one am fully prepared to be publicly emotional when that good day happens in the House of Representatives here in Belmopan. As far as we have been assured by the Prime Minister, the details of the draft will be exactly as he expressed it today and on the basis of that strength, we are definitely looking forward to seeing that it will cover the territorial seas and exclusive economic activity zone and that it will mean that there will be no offshore oil activity, from seismic up. We no that seismic is one of the initial phases but no concessions are being leased or sold, there will be nothing, as we understand it, there will be no offshore oil activity in Belize until some other parliament decides that they may be minded to change it. I'm looking forward to hearing the opposition's reaction but I really think this is one of those opportunities for bi-partisan support and that certainly, based on the national following and global communities reaction that this will be very well received. I don't think there will be any negative push back in terms of this being a good thing to do." "Is this a swan song for Oceana in so far as Oak Foundation has moved on, we know that is one of your major funders, this is the major campaign you guys were on. So funding having gone, mission accomplished, does Oceana move on from Belize?" "Well, just as a technicality, this campaign is not closed until we have legislation that everyone can live with; and actually no, Oceana came to Belize because of fisheries in 2009. So I'm actually looking forward that once we get this legislation through the House and it becomes law, we can go back to our fisheries work and this decision today is bound to attract even more funding opportunities and opportunities for government NGO projects and initiatives because I think, especially in today's world, where there is so much attention on climate change and protecting coral reefs, this type of leadership is what anyone that is donating money, wants to hear." And while the controversial marijuana decriminalization issue took the headlines tonight - the other major announcement coming out of today's house sitting is that government has made it official: it will introduce legislation to enact an indefinite moratorium on offshore oil exploration in Belize's territorial sea. "We agreed, some time ago, to a policy decision that there will be a moratorium but there were those who wanted a more permanent ban and I've always said that I am completely against that and I am still against that. A moratorium is a different thing. Even though it is indefinite, the fact is that it is not permanent; it is not expressed to be permanent, so that you cannot rule out the possibility that at some point in the future, clearly not in the near future, when technology has advanced, there might be very easy ways of determining whether we do have resources where some people think there might be, without having to go through the sort of process that the environmentalists object to, that is the position now. We can't fetter parliament, we can't bind parliament. So when we pass the law, even though it's not expressed to be permanent, they would have wanted us to say well even to lift the non-permanent ban you will need to go through certain steps- they talked about a referendum- you can't do that, you can't put in a bill that a future Parliament will not be able to change this bill except if there is a referendum, no. That referendum provision in the bill is part of a bill that future Parliament can simply up-end, so there is clearly still the opening for somewhere down the road- I stress, it will no doubt be far down the road, if at all- for us to, not us, I will be long gone, but whoever is there to come back and say 'listen, lets' talk to people now because it appears by way of these new fangled methods of making an assessment, developing an estimate, there is lots of oil out there and should we not then have the conversation as to whether, given that we are a poor country, it might not be time to think about oil exploration.'" Today, Friday, August 18th, in the sitting of the House of Representatives, Prime Minister Rt. Hon. 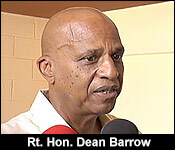 Dean Barrow officially announced Cabinet’s August 15th decision to legislate an indefinite moratorium on offshore oil exploration in Belize’s territorial sea, including the Exclusive Economic Zone (EEZ).